Despite a wealth of information at our fingertips, I’m wondering how we will ever get a true assessment of current economic conditions. There was a time when you could look at economic data and related indicators, along with technical information, and understand where the economy and the markets were heading. The correlation between these factors lined up to give us some sense of our economic future. Yet, in today’s economy, this is very difficult to do. A leading reason is that we have no clear and accurate information to look back on. When we survey the 2008-2016 time frame, we see eight years full of false positives — namely, technical data circulated and promoted endlessly by an ideologically driven Bureau of Labor and Statistics, Department of Commerce and Labor Department, plus a majority of Wall Streeters with a firm bias in the same direction. For eight years, these forces tried to do anything they could to make 2-percent GDP growth sound like an economic event worthy of celebration. In reality, such numbers didn’t represent a solid technical foundation, nor did such bleak results reflect solid economic expansion. 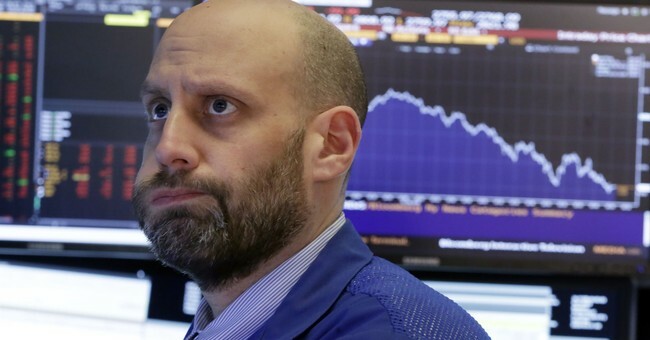 To demonstrate the difference, since President Donald Trump took office, the economy grew at nearly 3 percent for three consecutive quarters last year, with an overall rate for 2017 of 2.3 percent. That compares to 1.5 percent in 2016, President Obama’s final year in office. Lately, trends have softened. First quarter GDP growth appears as though it will register at around 2.5 percent. So, naturally, many assume we are in for a rough stretch after nine years of a “growing” economy. It is worth pausing here to enjoy some comic relief. I must point out that the majority of that “growing” economy took place while wages were declining and the labor participation rate hit 40-year lows. In addition, the poverty rate increased every single quarter President Obama was in office. So, one can’t help but ask: What thriving economy? How can anyone say with a straight face that we were in great shape when more people than ever were collecting government assistance and food stamps or filing for federal disability benefits? How could we have been in a growth pattern when we saw the largest temporary workforce in the nation’s history? When college graduates couldn’t find a job? When underemployment stood at alarming highs? When we saw inner-city unemployment for young adults ages 16 to 25 off the charts? None of these calamities take place in a growing economy. Now, I understand that—technically speaking—we were in a recovery because we saw two back-to-back quarters of positive GDP growth. But I think it’s time to take a comprehensive look at what happened during that so-called recovery. We also need to focus on what a real recovery looks like. If we do, we will see that it looks a lot like the past two years. We are not at the apex of a nine-year growth cycle. Rather, we are in the midst of the third inning of a real growth cycle. It is one based on strong underlying fundamentals instead of an ideological agenda.